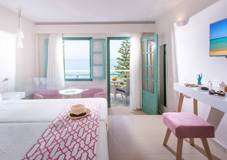 who come to Hersonissos on holiday. clothes and jewelry, restaurants offering all kinds of food, cafeterias, bars and nightclubs to suit every taste. 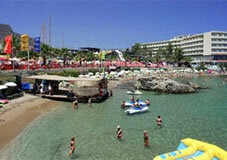 Hersonissos is ideally placed for easy travel across the whole island, either by rented car or by bus. 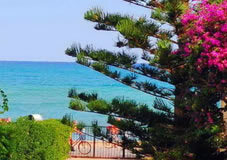 Also, near by are the traditional villages of Koutouloufari, Piskopiano and Ano Hersonissos.